What's There to Know About Franchise Funding? Money. Where to get it and when – these are some of the biggest questions brought forth by franchisees. When looking at large sums of money in order to get started, it's easy to become overwhelmed by looking at these numbers and not being sure how to obtain such funds. But rest assured that you aren't the first franchisee to see large numbers and get cold feet. Nor are you the first franchisee to need funding in a big way. In fact, this is the most common obstacle among new business owners: looking for financing in order to get started. What is There to Know About Franchise Funding? Paying for your franchise can be done in a number of ways. To find the best method that meets your needs, budget, comfort level, and more, it's a good idea to explore all options so you can make an informed decision. There are many ways to pay for your new franchising business. You can use your own money (assuming you have enough of it to go around). You can ask others to invest with various participation levels. For instance you might get a "silent" investor who is there to offer dollars and to stay out of the day-to-day operations, or you might have an investor who prefers to be more involved. Before jumping into either scenario, consider their level and/or area of expertise, and how your personalities will mesh in a working environment. You can also go a more traditional funding route and earn a business loan for your franchise. This can be done through a bank, or sometimes even the franchising company themselves. Then there are grant programs, or location-based loans that help out small businesses. Depending on where you're located and what type of industry you're getting into, there might be more options available for your funding methods, too. When looking for funding, your franchising brand is a great place to start. They will let you know if or what programs they offer, or they might have close contacts who can help lead you in the right direction. Another great resource will be local business councils, such as the Chamber of Commerce, community boards, or government entities that help with zoning and grants. Be sure to reach out to as many resources as possible. There can be free dollars to help you grow and market your business, just for taking the time to file and apply! It's a simple move that can land you ahead of the game, give you a leg up on your competition, and leave you owing less money toward your business loans. What Else is There to Know About Funding? Every type of franchise investment and/or funding avenue comes with its own set of nuances. Before you sign on with any method, ask around. Talk to others in the industry or those who have dealt with a type of loan, etc. Ask questions, find out what tips they might have, payment methods, advice on percentages or account setups, and so on. Pick their brains about the best way to go. Because they have been there first, they will have insider details that will help provide you with the best information possible. If nothing else, you will feel more confident going forward with your franchise by obtaining as much information as possible and knowing you are making informed and smart business decisions. It's also a good idea to talk with a financial professional and a lawyer before moving forward on any avenue. Allow your accountant or banking pro to lay out terms and dates. If possible, choose someone from your own team so you can be sure they are advocating for your best interests. 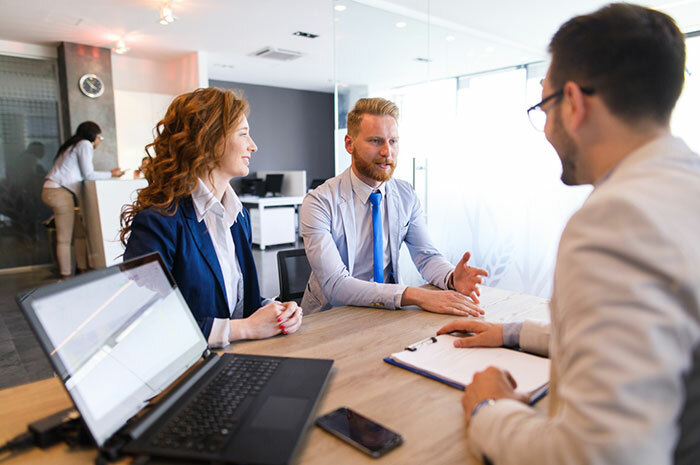 Then ask your lawyer to look over contracts and loan terms for a clear understanding of what's being outlined, when and how much you're expected to pay. This simple – yet important – step can eliminate serious grievances from taking place later on. There are many avenues from which you can obtain business funding for your franchise. Talk to your resources and learn as much as possible before moving forward to you can make an informed and smart decision for your future franchise location. Starting Your Road to the "Part-Time Franchisee"
What Franchise Fits Your Skillset?